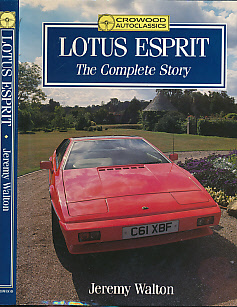 Barter Books : Walton, Jeremy : Lotus Esprit. The Complete Story. 210 x 160 mm (8 x 6 inches) - 192pp.